Ola, Flipkart bosses want the govt to limit foreign competition to them. Is their demand justified? Bhavish Aggarwal, Sachin Bansal want govt to favour Indian start-ups. What exactly is an Indian start-up? Goodwill is the only asset that competition cannot undersell or destroy," said Marshall Field, the founder of the American departmental store chain Marshall Field and Company, which came to be renowned for its exceptional quality and customer service. In the globalised economy, competition is considered healthy. That is why India undertook liberalisation in 1991, as a result of which we're one of the world's fastest growing economies now. 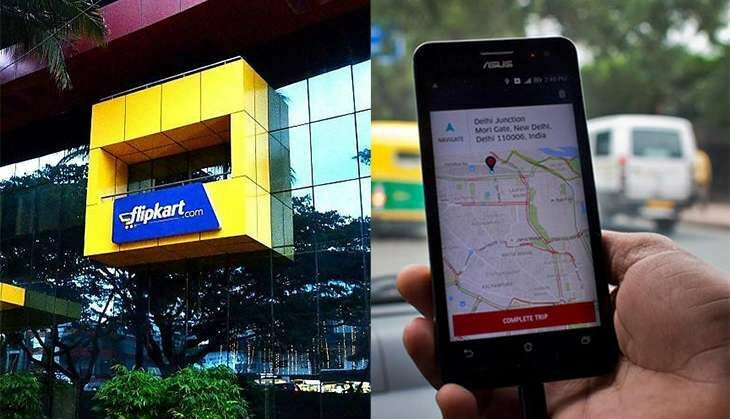 But, recently, Bhavish Aggarwal and Sachin Bansal, the founders of Ola and Flipkart, and icons of entrepreneurship in this country asked the government to, essentially, shield Indian start-ups from foreign competition. While many people panned it as desperate lobbying by struggling businesses for protectionism in the guise of nationalism, others took it as an expression of "genuine concern" by Indian start-ups against capital dumping. As an entrepreneur, I understand the risk of foreign companies dumping capital in India out of the profits made or funds raised in their country of origin. Uber, Amazon and some other companies are doing just that. But the idea of introducing measures that favour Indian companies over their foreign competitors doesn't sit well with me. For one, how would you define an "Indian start-up"? A firm whose majority stake is held by Indians or one founded by an Indian citizen? If the former is the case, then most companies - probably including Ola and Flipkart - won't be treated as Indian. If it's the latter, then companies acquired by Indians abroad - as Jaguar has been acquired by Tata - won't receive any special treatment in the Indian market. And if we only treat as Indian a company registered here then firms like Flipkart - registered in Singapore - won't qualify. Those in favour of shielding Indian start-ups also argue that unchecked capital dumping will, in the long-term, lead to monopolies. Their reasoning goes thus: Indian start-ups will run up unsustainable losses as they compete with the heavily-discounted services offered by foreign companies and will eventually die. This entirely misses the point about entrepreneurship and competition. A policy intervention in favour of "Indian start-ups" now is certain to, at the very least, skew the market towards the established firms, such as Flipkart and Ola, to the disadvantage of other domestic start-ups. More important, it will disincentive innovation, the lifeblood of entrepreneurship. Our start-up, ListUp, a consumer to consumer marketplace platform, is facing stiff competition from companies registered abroad - LetGo from the US, Wallapop from Spain - as well as companies with substantial investments from abroad - OLX and Quikr. Suppose the government decides to intervene in favour of "Indian start-ups". We would then want the definition of "Indian start-up" to exclude both categories of companies - those registered abroad and those with major investments from foreign sources. This, of course, would leave us in an advantageous position in the market. But I am certain Flipkart, Paytm, OLX, Quikr and many other companies won't agree to this definition. So, even the basic process of identifying an Indian start-up, as Aggarwal and Bansal's proposal would entail, is set to be complicated and controversial. Throughout the world, multinational giants like Uber and Amazon are battling it out with local start-ups, and not always winning. The sale of Uber's China business to Didi Chuxing has proved that capital dumping alone is not enough to prevail in the market and that focusing on local consumer needs is equally important. Grab, based out of Singapore, too is giving tough competition to Uber across Southeast Asia despite the Silicon Valley company's huge capital dumping. As Anthony Tan, CEO of Grab, remarked after Uber's sale to Didi Chuxing, "We have seen that when the local champions stay true to their beliefs and strengths, they can prevail. We see this happening in China, and it will be the same here. They have lost once, and we will make them lose again." In other words, more people choosing Uber or Amazon over their domestic competitors isn't down to heavy discounts alone. I have heard customers say, for instance, that Uber drivers are very well trained and most of the time you don't need to call the driver to explain your pickup location. Similarly, many people prefer Amazon because they feel it's much more customer-centric. At the same time, however, unlimited capital dumping is not sustainable in the long-run. Besides discouraging local low-funded start-ups, this practice negatively impacts consumer behaviour in that the user is always looking for heavy, unjustified discounts. To check this, the government does need to draft rules to regulate prices of products and services offered online. Such rules, of course, will apply to both local and outsider players, and thus help level the playing field. Then, every player will have to earn customer goodwill on the basis of the innovation they introduce and the quality of services they offer. As a result, consumer will remain the king - the foremost objective of any open market such as India. Also Read: Waning stock: is Flipkart losing its e-commerce duel with Amazon? TWEET THIS Ola, Flipkart bosses want the govt to limit foreign competition to them. Is their demand justified? Bhavish Aggarwal, Sachin Bansal want govt to favour Indian start-ups. What exactly is an Indian start-up?